Our Wonderland Bakery Ice Cream Cookies will melt their way to your taste buds. 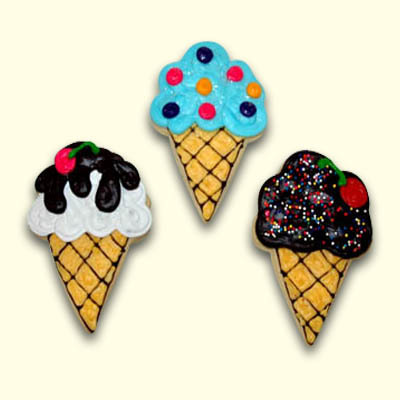 We can create these whimsical and fanciful cookies individually decorated as your favorite ice cream flavor and topped with a cherry too! 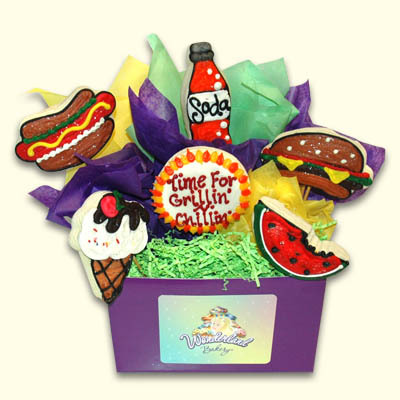 Great at an ice cream social, as a party favor, just because, or arranged in an bouquet with your personal message.